Ridgeway & Pryce broker all types of trading hotels both at corporate and private levels. The diversity of our expertise allows us to act for buyers and sellers ranging from small tourist hotels to 5 star deluxe hotels. We will appraise the value of a hotel’s potential and place the business with its ideal purchaser, often off market and with discretion. We can analyse a site’s most suitable use by co-ordinating our extensive specialist property departments combining the skills to maximise mixed-use values. We can provide the complete package from the acquisition and planning stage, through to lease, management contract or turn-key negotiations and sale of investment where applicable. Skilled negotiating experience brings together property expertise with the hotel operator creating an investment vehicle and/or cash flow for both parties. There is a buyer for virtually every hotel, however, not every hotel is right for every buyer. The highly trained brokerage specialists at Ridgeway & Pryce use their expertise to sift through the largest compilation of listing inventory on the market to pair the right opportunity with the right buyer. 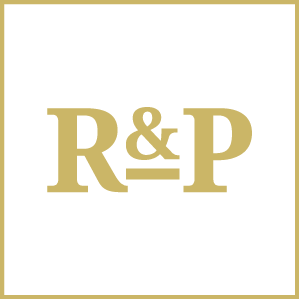 Ridgeway & Pryce is best qualified to assist investors in navigating the unique complexities of hotel real estate acquisition, and analyse all the options available to provide appropriate advice and counsel. On the real estate acquisition side, we represent buyers at all stages of the process, from advice on selection and location to opportunity sourcing and due diligence. Take advantage of our local market knowledge and contacts in real estate capital markets around the globe, as well as our deep experience in commercial real estate strategy, leasing and management.